March 14, 2017 — (Santa Monica, CA) — Feist will release a new album, entitled Pleasure, on April 28th via Interscope Records. 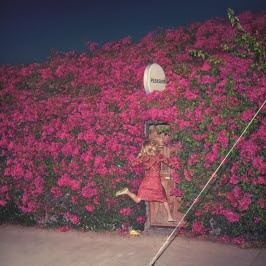 Recorded over the course of three months—in Stinson Beach, Upstate New York, and Paris —Pleasure was co-produced by Feist with longtime collaborators Renaud Letang and Mocky. In addition to reaffirming Feist as a cagily inventive guitar player, the album threads her shape-shifting and often haunting vocals into sparse and raw arrangements. In 2004 Feist made her U.S. debut with Let It Die (featuring “Mushaboom”) which won the Juno Award for Best Alternative Rock Album, and garnered major critical acclaim. Her 2007 follow-up The Reminder debuted in the Top 20 in the U.S. and was hailed by The Village Voice as a “great batch of simple, precisely arranged love songs — expertly produced, delectably sung.” The single “1234”boosted the album’s sales to more than a million units internationally. Also including lead single “My Moon My Man,” The Reminder won Feist the 2007 Shortlist Music Prize (making her only the second woman to ever win the award). After a several-year hiatus — during which she co-created Look At What The Light Did Now, a documentary about the making of The Reminder and her subsequent tour — Feist returned withMetals in 2011. Metals was her highest charting album, debuting at #9 on Billboard. It was namedAlbum of the Year by the New York Times and won the Polaris Prize and four more Juno Awards. To date, Feist’s music has sold over three million units worldwide and amassed more than 500 million streams.